Looking for deals in Tallinn? Located 2625 feet from Tallinn International Bus Station in Tallinn, Hilton Tallinn Park features a restaurant and free WiFi throughout the property. Guests can enjoy the on-site bar. Very friendly staff, excellent lobby design, one of the best laid out and most welcoming hotel rooms we’ve been in. Plus a great view of the city. In our view, a model for other properties! Radisson Blu Sky Hotel in Tallinn is located in the city’s business center and a 10-minute walk from the Old Town. It offers recently refurbished, elegant rooms with free Wi-Fi and an LCD TV. We travelled with our small baby. The staff were very nice and helpful. Swissôtel Tallinn is a luxurious hotel in Tallinn’s center, a 10-minute drive from the airport. It offers air-conditioned rooms with flat-screen cable TVs and free WiFi. Staff was very friendly and absolutely delicious room service. Located in the center of Tallinn and originally built in 1930s, Palace Hotel is located in an impressive building and offers rooms with a digital TV system with satellite channels, a tablet, a... Friendly Welcoming staff. Excellent breakfast. Housed in the beautifully renovated 15th-century building, the 5-star St. Petersbourg Hotel is the oldest hotel in the city, located in the heart of Old Town Tallinn. Whole experience was great. Please to recommend. Renovated in 2016, this stylish 5-star Schlossle Hotel is housed in 13th and 14th-century buildings and located in the center of Tallinn’s Old Town. First rate service. Excellent hotel. Can't imagine a better place to stay in Tallinn. Located on the scenic Viimsi Peninsula, a 15-minute drive from Tallinn city center, Tallinn Viimsi Spa offers a Water Park, wide range of health and beauty treatments, as well as sports activities. Perfect kids playroom with excellent services. Good breakfasts. Very warm water in spa. The stylish, renovated 4-star Stackelberg Hotel Tallinn overlooks the beautiful Old Town. It is housed in a 1875 residence and offers spacious rooms. It is within walking distance of Old Town and has a nice courtyard. I would stay here again. Located in the Rotermanni district of Tallinn's center, this 3-star hotel is only 984 feet from the Old Town. Hotel Metropol’s rooms have a mini-bar, floor heating and free Wi-Fi. It is in good location, very easy to go around. Very clean. Breakfast is average. The elegant Hestia Hotel Maestro is housed in a 15th-century building right in the heart of Tallinn’s Old Town. Excellent location and great price! Located in Tallinn’s Old Town, Braavo Spa Hotel offers rooms with cable TV and free WiFi. It offers its guests free daily access to a sports club and spa center from 6:00 until 22:00. Great location, nice view, nice spa and delicious breakfast. Located in the Tallinn Pirita district on the coast of Pirita beach, Pirita Beach Apartments & SPA is located in a historical building originally built for the 1980 Olympic Games. Friendly staff, comfortable room, great sea view. Everything was fine. 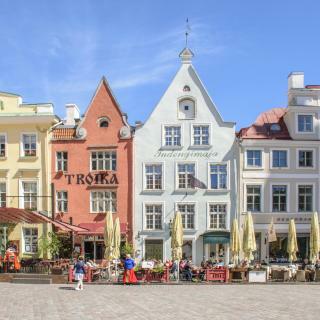 Gotthard Residents is located in the Tallinn’s Old Town, 1969 feet from the Market Square. It offers bright rooms with free Wi-Fi and satellite TV. The property was designed in the Middle Ages. The staff was outstanding and super helpful. The hotel is quirky and charming. The elegant 4-star Baltic Hotel Imperial is located in the Old Town Tallinn, 656 feet from Tallinn Railway Station. It offers stylish rooms with free Wi-Fi, a flat-screen TV and a mini-bar. Excellent location in the old town. Only 492 feet from the Tallinn Old Town, a modern Nordic Hotel Forum of 4+ star category offers spacious air conditioned rooms with free Wi-Fi. The hotel has a leisure center on the top floor. Superclean, beautiful modern building, very good breakfast! Solo Sokos Hotel Estoria is located in Tallinn’s city center, only 328 feet from the historical Old Town. Perfect comfortable bed and very delicious breakfast. The luxurious boutique CRU Hotel is set in the 15th-century merchant’s house. Cru Hotel is located on the main street of the beautiful Tallinn’s Old Town, just 328 feet from the Town Hall. Cannot rate this place highly enough! Beautiful boutique hotel right in the middle of the old town. The 3-star Oru Hotell is located in Tallinn, 1969 feet from the Baltic Sea. It offers elegant rooms with free Wi-Fi and a flat-screen TV with cable channels. Great hotel and staff, exceeded my expectations about 3 stars hotel! The 4-star Kreutzwald Hotel Tallinn is located within just a 12-minute walk from Tallinn’s beautiful Old Town. It offers air conditioned rooms with free WiFi, library and spa facilities. I loved everything about this place. Which neighborhood is the best one to stay at in Tallinn? Tallinn Old Town, Pirita, and Haabersti are popular with other travelers visiting Tallinn. Which hotels in Tallinn are good for couples? 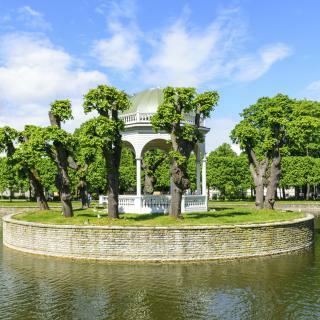 These hotels in Tallinn are highly rated by couples: Hotel Palace by TallinnHotels, Schlössle Hotel - The Leading Hotels of the World, and Hotel Telegraaf, Autograph Collection. Which hotels in Tallinn are good for families? Many families visiting Tallinn loved staying at Hotel Telegraaf, Autograph Collection, The Three Sisters Boutique Hotel, and Schlössle Hotel - The Leading Hotels of the World. Which hotels in Tallinn have nice views? Swissotel Tallinn, Radisson Blu Sky Hotel, and Pirita Beach Apartments & SPA got great room view-related reviews from travelers in Tallinn. Which hotels in Tallinn offer an especially good breakfast? For hotels in Tallinn that serve highly-rated breakfasts, try Hotel Palace by TallinnHotels, Centennial Hotel Tallinn, and Radisson Blu Sky Hotel. How much does it cost to stay in a hotel in Tallinn? On average, 3-star hotels in Tallinn cost $81 per night, and 4-star hotels in Tallinn are $116 per night. If you're looking for something really special, a 5-star hotel in Tallinn can be found for $168 per night, on average (based on Booking.com prices). What are the best hotels in Tallinn near Lennart Meri Tallinn Airport? Travelers who stayed in Tallinn near Lennart Meri Tallinn Airport (TLL) have said good things about Hotel Ülemiste, Hestia Hotel Susi, and ibis Tallinn Center. How much is a hotel in Tallinn for this weekend? The average price per night for a 3-star hotel in Tallinn this weekend is $137 or, for a 4-star hotel, $190. Looking for something even fancier? 5-star hotels in Tallinn for this weekend cost around $369 per night, on average (based on Booking.com prices). What are the best hotels in Tallinn near Viru Shopping Center? Some of the best hotels in Tallinn near Viru Shopping Center include Kaubamaja Luxury Apartment, Apartment Old Town Tallinn and Cozy City Apartments. Which hotels are the best ones to stay at in Tallinn? Hotel Palace by TallinnHotels, Savoy Boutique by TallinnHotels, and Swissotel Tallinn are some of the popular hotels in Tallinn. How much is a hotel in Tallinn for tonight? On average, it costs $60 per night to book a 3-star hotel in Tallinn for tonight. You'll pay around $96 if you choose to stay in a 4-star hotel tonight, while a 5-star hotel in Tallinn will cost around $166, on average (based on Booking.com prices). Wander along the narrow cobbled streets of the medieval city of Tallinn and marvel at the fashion forward culture existing comfortably alongside tradition. The 14th-century church spires wind their way into the sky on top of the Toompea hill which rises in the center of town. Outside the city walls modernity reveals itself through soviet-style concrete buildings and contemporary glass skyscrapers. A multitude of shopping opportunities are available especially along Viru Street, with several rising Estonian designer boutiques side by side with traditional crafts of woven fabrics, pottery and glass blowing. The café culture abounds and visitors can soak up the friendly atmosphere between purchases. 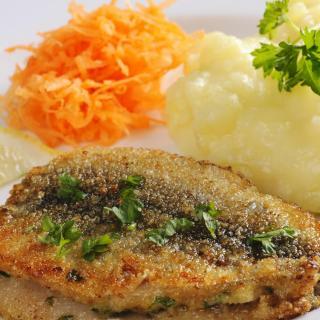 Restaurants on the colorful Raekoja Plats offer a chance to try traditional Estonian fare. Situated on the Gulf of Finland, a popular day trip is by boat to Helsinki. With a location so close to the water, the sandy beaches are a popular summer destination for locals and visitors alike. In the winter, the beauty of buildings such as the Alexander Nevsky Cathedral is hard to beat. With over 60 self-catering apartments and hotels available on Booking.com, you can live like a king in this pretty Estonian capital. This time I went to a concert at Saku Suurhall. This time I went to a concert at Saku Suurhall. A Finnish band called Haloo Helsinki was playing there. Public transportation from near my hotel ( Economy Hotell ) to the concert arena was very good and reliable. I took a bus. During the second day I visited KUMU art museum. There are interesting art exhibitions, both permanent and temporary. They have mostly paintings from around 19th Century to the present. But also many sculptures. That art museum is also accessable by wheel chair. I ate at Lido Restaurant at Solaris Shopping Centre. They have good and economical meals. I only hope their food to be a bit warmer than it is. Then I visited one of my favourite cafes in Tallinn - Maiasmokk. An old and finely decorated cafe in the old town. Good coffee and delicious cakes and other pastries. This time my purpose to visit Tallinn was to go and see The Phantom of the Opera at Nordea Kontserdimaja. The musical was performed by the Vanemuine Theatre from Tartu. This was my first time to see this musical, so I don´t have anything to compare with. But this performance was just great. I also did little walk around the old town just before leaving Tallinn. It was just a short visit and I didn´t have much time for eating at any restaurants. I bought something from a local Rimi Market to eat in my hotel room in the evening after the musical. Otherwise I only had a breakfast at hotel and a coffee and pie at Maiasmokk café. That is a very charming café with an old time atmosphere. My main purpose to visit Tallinn this time was to go to see and enjoy the operetta Savoy Ball at Estonian National Opera. It was great. Though I understand very little of Estonian I could still get quite good knowledge about what this operetta was about. They also had English subtitles on the screen. But reading those subtitles caused you not to be able to fully follow what was going on on the stage, actors moving and expressions etc. After all it was a pleasant visit to this opera house. I will definitely go again. I ate at Lido Restaurant at one shopping center called Solaris Keskus. It is located near the National Opera House just opposite side of the street. Food there is otherwise good but I´d prefer it to be a bit warmer. They have a spacious room there, lots of tables. I stayed at one budget hotel called Economy Hotell at Kalamaja area. Though the hotel is located at the other side of the central Tallinn than the opera house the location was good. Walking through the old city from the hotel to the opera doesn´t last too long. And walking back from opera to the hotel late in the evening was just ok. It is safe to walk there, even alone, late in the evenings. Of course you always must be careful. But I have found Tallinn a very safe place even in late evenings. Just look where you go. This time I stayed at Rixwell Old Town Hotel, address Lai 49. This time I stayed at Rixwell Old Town Hotel, address Lai 49. Location of the hotel was perfect for my visits to old town locations. The only thing I didn´t like was that there was quite a lot of traffic going just outside my hotel room - even in night time and very early in the morning. Otherwise the hotel was very good: staff, breakfast, everything. I visited that Christmas Market at Town Hall Square. That was a great place to visit and make some shopping for Christmas. That day I also ate at the market. The other day I ate at a restaurant Vanaema Juures, which is one my favourite restaurants in Tallinn. Food is really good there and staff is friendly. Food is mostly traditional northern Europe type of. So fish, meat, potatoes etc. Getting around Tallinn is easy. Local transportation is good: buses, trolley buses and trams. This time I just walked, because every place was withing walking distance. Though I could have taken a bus to Kristiine Keskus -shopping mall, but it wasn´t too far. And I think if one walks one might even see more. Like I did after coming back to old town from Kristiine Keskus. I walked along a street that was lined with old wooden houses and suddenly I saw an old Moskvich car at one yard. Had to take few photos of that car. I found Tallinn to be rich with history and just exceptionally lovely. We had the most outstanding meals of our trip there at Rataskaevu 16 and Balthazar --hands down MOON restaurant was the best. We walked everywhere from our extremely convenient hotel (Hotel St Barbara). I wished we had more time there! I liked most that I could stay at a hotel in a quiet location. I had to continue my trip next day to Riga, Latvia. So it was good to sleep in a quiet location. And I also liked very much that they had such a good breakfast at Hotell Dorell. I could eat very well before many hours bus trip to Riga. Getting from Hotell Dorell to Tallinn Bus Station is easy. I used tram, which is one of the best way to get to the station. The hotel was close to many sights, just on the edge of Old Town as well as very close to the train station and tram stop. My room was a good size and always well heated and clean. Very quiet as well. Reasonably sized bathroom and shower as well. Good sized, modern elevator. I thought the breakfast buffet was excellent and probably typically Estonian with potatoes, eggs, oatmeal, meats, and cereals, as well as juices and coffee. Spacious, nicely decorated apartment and perfect location, opposite the city information centre. No staff, but good instructions to enter the apartment. Phone number available in case of emergency. Right in the city centre and easy accessible with tram from airport. Good space and inventory. Even coffee and tea available. Comfy bed and good shower. Good price compared to other properties in old Town. I went to a conference, perfect location, fantastic catering. Hotel is in the center. Room is warm - other similar hotel in Tallinn has cold rooms, you can have max 24C in the room, in Estonian winter, when you are coming from freezing cold streets believe me you want it warm up pretty quicly in the room ;-) they also have a kettle. Excellent breakfast. Hotel' location is perfect: it is only 10 minutes by feet to the old city center or to the ferry terminal; and only few meters from public transport (e.g. to reach airport). You had the opportunity to access the wellness area (against extra payment) which is just stunning. Breakfast is good !!! Room was really quite at evening/night. The stuff is the best I’ve ever met in any hotel or hostel. The room is nice and pretty comfortable. The breakfast is simple but tasty (tea / coffee, bread, different types of jam, peanut butter and Nutella, pancakes and 3 types of cereals). This accommodation made our weekend in Tallinn even better than we had expected. Thank you! Hotel STAFF VERY GOOD. They gave me a svit room cuz all other was taken somehow. That room was amazing. With jacuzi and sauna. Very close to center. Nice areas in room. AMAZING bed one of the best i ever slept in. With very good pizza down Stairs in bar. I will always stay in this place when visiting Tallinn. Beautiful hotel rooms. Luxury hotel. Breakfast is served in restaurant Tchaikovsky. Every day telegraaf style newspaper printed especially for hotel guests. Very helpful reception team - special thanks to Maksim:). Pleasant spa. The hotel is highly recommended for old Tallinn exploring. Jacuzzi bathtub was so nice. The room was nice and big with very good beds an excellent pillows. Room was really quiet. Breakfast was really good. Best that I have had in other Tallinn hotels with same pricelevel. Very friendly staff, excellent lobby design, one of the best laid out and most welcoming hotel rooms we’ve been in. Plus a great view of the city. In our view, a model for other properties! Everything was good. Location was perfect and close to the old part of town. The tram stops in front of the hotel from the airport. Staff is very professional and the breakfast is good. I actually chidr this hotel because of the aquapark. And it didn't disappoint. The spa also is good. The cinema near also good. I like almost everything. The location is the best you can get in the heart of Tallinn Old Town. The atmosphere in the hotel is real unique. Modern and spacious hotel close enough to old town without being smack in the middle of it. Everything basically. Good and friendly service, clean and modern rooms, great location, excellent breakfast. Very friendly staff. Very quiet peaceful atmosphere.